2017 was one of the best years ever for Great Bay Sailor. 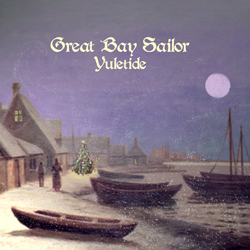 It was certainly a year filled with sailor songs, sea shantys, traditional music sessions, maritime music, and much more. We performed at a wide range of venues including the Museums of Old York, Strawberry Banke Museum, Firehouse Center for the Arts, the Gundalow, and Pro Portsmouth first night. Carrigan and Blair released a new CD that is a precursor to a full GBS CD. We continue to perform, in whole or in part, at weekly gigs at the Barley House and the Stone Church. We met a ton of amazing new people and hopefully spread the joys of traditional music. We will do our best to keep you up to date on upcoming events via our calendar page. Thanks! Mark you calendar and dig out your lobster bib and appetite! Join Jim, Steve and Bruce for a Saturday Afternoon Lobster cruise aboard the Beauport Princess in beautiful Gloucester harbor. An intimate house concert setting in Downtown Dover, NH. Time: 4:45 PM Immediately following the annual tree lighting ceremony. Other: Light refreshments will be available. Other: Admission Buttons can be purchased at various downtown locations. See the Pro Portsmouth Web Site. Bring your voice and a friend and let’s celebrate the season in song together. Coming Home with Bold variety, energy, and fun. 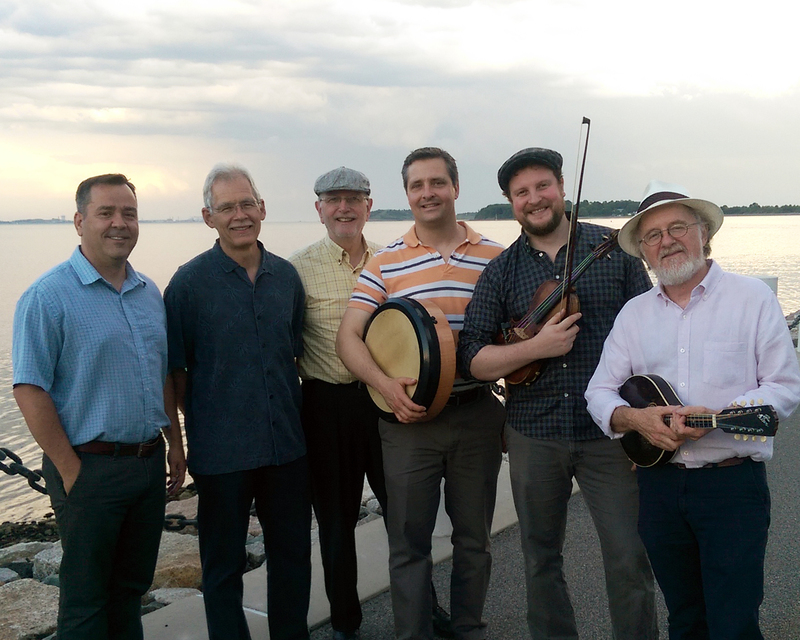 GBS members, along with Jordan Tirrell-Wysocki, have been honing their dynamic Irish repertoire at The Stone Church on Thursday Irish Thursdays for about a year now. That same energy is finally coming to Portsmouth NH for a weekly concert at RiRa in Market Square. We will be there every week on Wednesday nights, but you might want to stop in for the kick off. Make sure your voice is heard by letting us know your favorite tunes and songs. Like usual, we will be taking requests and mixing it up with an eclectic mix of high energy song/tune sets, a cappella shanties and songs, Maritime, Irish and other traditional music. Enjoy dinner and stick around for the show. Irish night, a.k.a. “Thirsty Irish Thursday” is becoming quite a phenomenon in good ole’ Newmarket, NH. The Stone Church has always been known for live music- especially folk. I’ve had many guest on “Local Folk” talk about the great open mics and folk dinners that used to happen up there. Like all things, the music seemed to change over the years, and I think the crowd might have as well. All that has changed with new ownership and the advent of “Thirsty Irish Thursdays”. It’s both an evening and an event in which all are welcome. From retirees to babies to be, our growing crowd runs the gamut of people and personalities. It’s a great place for kids and families as well as old friends, workmates, and locals. The event and atmosphere feel familiar and all of us performers are enjoying the event immensely. Here are some photos from March 14, 2013. 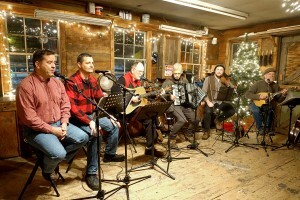 The performers were (from left to right) Jeff Murdoch, Steve Carrigan, Roger Burridge, James Prendergast, Bruce Macintyre, and cameo appearance by Chris Vaughn. Let us know if you see yourself.